A Newberg woman has been sentenced to prison after she was caught in June smuggling drugs into the Yamhill County jail in an unusual manner. 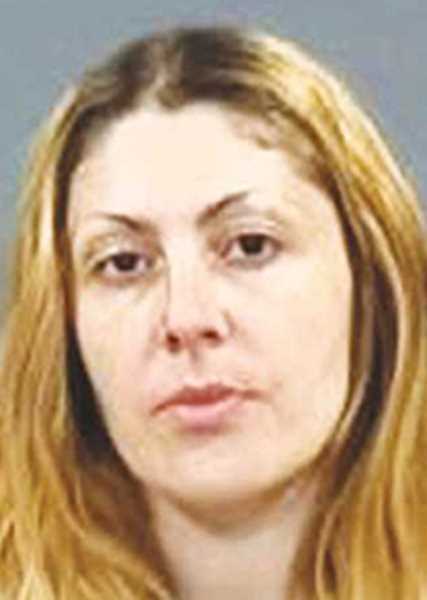 Yamhill County Circuit Court Judge Cynthia Easterday sentenced Rashell Ann Sutliff, 32, to 14 months in prison after she plead guilty last week to one count of distribution of a controlled substance and five counts of supplying contraband. In exchange for the plea, additional charges of possession of controlled substances (heroin and meth) and supplying contraband were dropped. She will be credited for the two months she has already served in custody of the jail. Sutliff will remain on probation for 14 months following her release from prison and will also be subject to two years of post-prison supervision. Word of Sutliff's crimes surfaced in June when it was learned she attempted to pass drugs to her fellow inmates at the county jail. An investigation by the sheriff's office, which is responsible for the jail, corroborated the claims against the woman. She was charged in late June. Sutliff was already in custody at the jail after being arrested on an unrelated probation sanction and outstanding warrants. At that time Sutliff was transported to the Washington County jail, where a body scanner discovered foreign substances inside the woman's lower abdomen. It was suspected that Sutliff either "swallowed or secreted" the foreign objects that were lodged in her body, according to a sheriff's office release. She was immediately transported to the Willamette Valley Medical Center in McMinnville, where medical staff removed the objects. The objects removed were a 12-gram plastic bag that contained a substance determined to be meth; the second package was approximately two grams of heroin. While awaiting trial, Sutliff reached out to Judge John Collins to seek admission into the county's drug court program, which Collins oversees. "I've recently gained a new outlook on life and what I want for my future," Sutliff wrote. "It is time for me to make a change. What I've had up until now has not been a life. I am more than willing to let my past go, finally, and move forward with the help and guidance of my peers. "With the damage I have caused I no longer have the luxury of friends and family. With a second chance I feel I would have the opportunity to start anew." Sutliff's plea to enter drug court was denied.